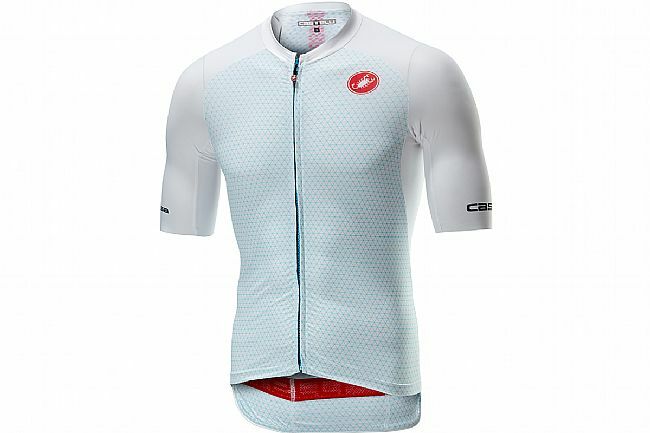 The Aero Race 6.0 represents the 6th major iteration of the Aero Race jersey and to date it is Castelli's most aerodynamic and most comfortable Aero Race jersey yet. 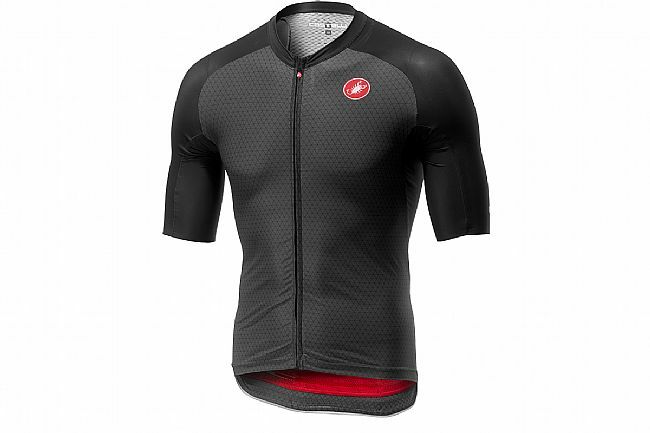 Since the first Aero Race line of apparel in 2006, Castelli has been aiming to prove that aerodynamic clothing can produce real power savings. Originally called the Split Second because engineers had doubts about the benefits of aerodynamic apparel, the Aero Race line has since proven itself as a real advantage and built a race pedigree complete with some of the biggest pro tour teams and riders. After rigorous CFD analysis, this jersey boasts consistently measurable power savings with the Velocity Rev2 fabric on the front and sleeves, which are slightly extended for maximum aerodynamic advantage without unnecessary weight.